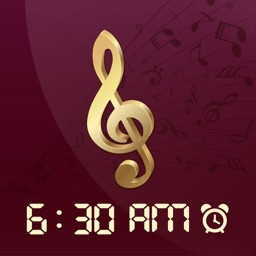 Music Alarm . by nowApp Inc.
* #1 Productivity app in Korea. * #1 Utilities app in Japan. 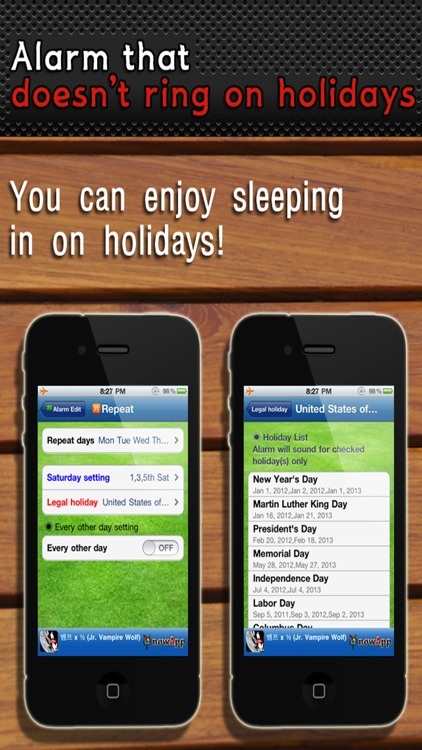 * USA, JAPAN Lifestyle New & Noteworthy was added. * JAPAN Productivity What's Hot was added. 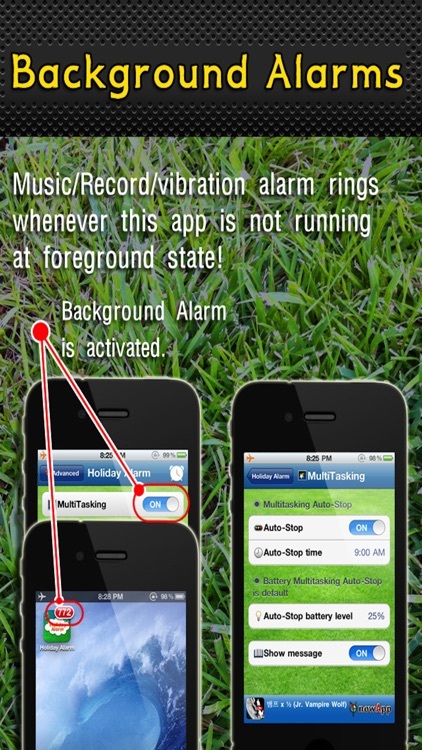 * You can hear music & vibration alarm sound, even if alarm app is in background state. * Music Alarm keeps track of all the IMPORTANT holidays in these countries: USA, Korea, Japan, Taiwan, China, Canada, German, United Kingdom, France, Italy, Hong Kong, Australia, Spain, Mexico, Netherlands, Brazil, Malaysia, Thailand, and Russia! 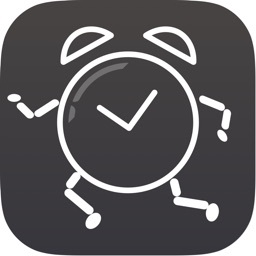 NEVER download another iPhone Alarm App Again! 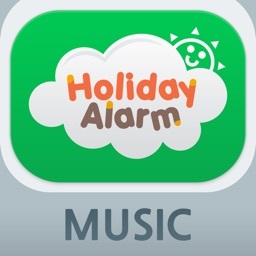 Music Alarm includes an Mp3 Alarm, Voice Recording Alarm, Holiday Alarm, Preselect Hourly, Daily and Sleep in Settings! * Use your favorite music as the alarm ringtone! 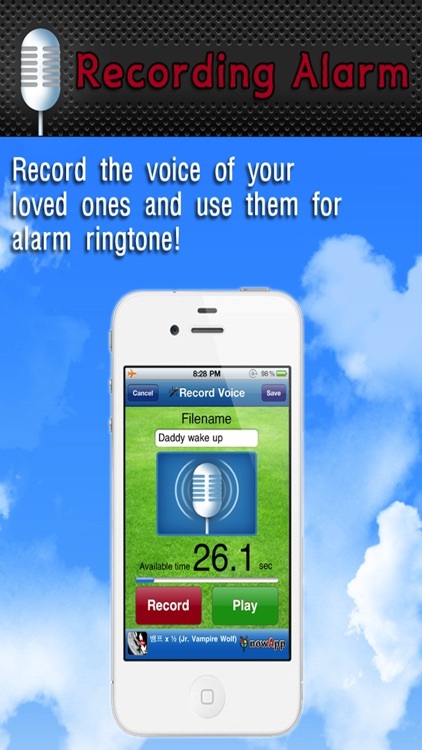 * Record the voice of your loved ones and use them for alarm ringtone! * Have you ever seen an alarm application that doesn’t go off during holidays, even if you forgot to turn it off?? Now you can sleep in!!! * For employees who works every other day! 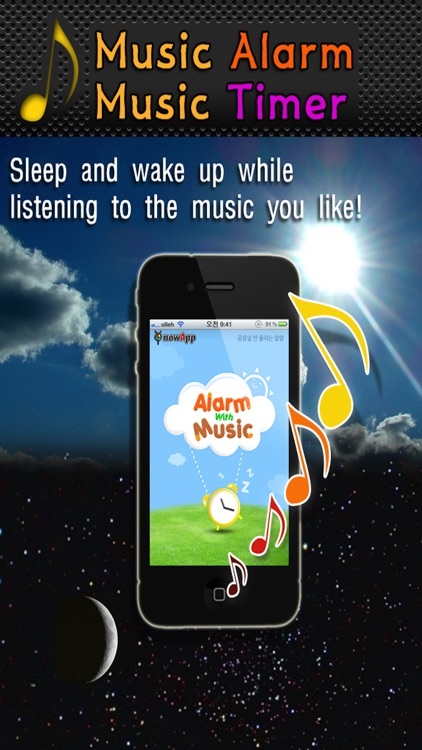 * Start your day with CLEVER and PLEASANT “Music Alarm”!!!! 1. 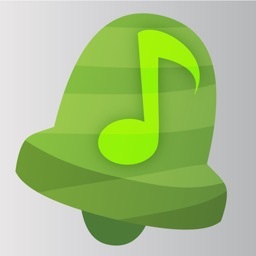 Use songs from iPod playlist as your RINGTONE. 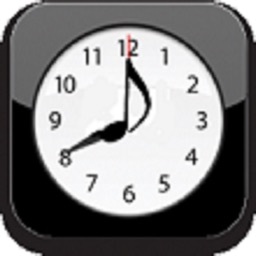 You can use your favorite music stored on your iPhone as alarm ringtone. Fall asleep while listening to your favorite songs and don’t worry about turning the music off! You can directly make an recording and use the file as your alarm ringtone. 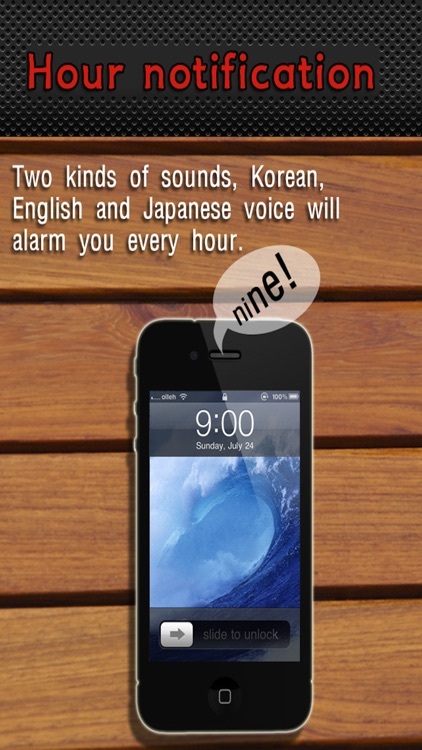 Two kinds of sounds, Korean, English and Japanese voice will alarm you every hour. Second and the fourth Saturdays have selection button for users to set the alarm. 7. Set alarm to ring every other day. For workers who work every other day or workers who work only few days in a week. You can set the alarm to ring on the days of work. 1. Silent mode, if you do not turn on the iPhone app when the alarm system sound does not play by default. If you want to silent mode and turn on your alarm app. Then, in silent mode the alarm will sound choice. 2. Sound setting is displayed with no sound from the sound effects apps, turning off the alarm sound will go off. IPhone as a one-time fundamental tone sounds. Select sounds just as it sounds, set sound.
! Method of setting up alarms for holidays, Saturdays, and every other days are in PATENT PENDING.